Avoid the placement of a tax lien by seeking resolution. A federal tax lien is the IRS’ legal claim to your property and assets because of delinquent tax debt. When you don’t pay your taxes, the IRS can file liens to place claims against everything you own. A tax lien not only attaches itself to your current property and assets, but also anything you may own in the future. A lien is the government’s way of protecting their interest in your property and assets. If you sell property that has a lien on it, the government has the right to the profits of that sale. They essentially take the money you owe them first. Unpaid tax debt can lead to wage garnishment, liens, levies and severe credit penalties. Don’t wait to get the help you need! Let Debt.com connect you with professional tax debt help today. Usually, the IRS will only place a tax lien when you don’t make any effort to resolve a tax debt. They will send numerous letters and notices first to get your attention. If you call them to make arrangements, then you don’t need to worry about any liens. However, if you avoid them and attempt to hide from your debt, you can expect liens. 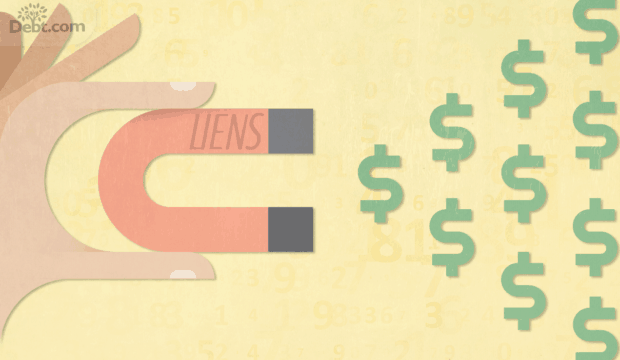 Fact: If your tax debt is $10,000 or more, then the IRS can place a lien automatically. Initially, the IRS sends notices to inform the taxpayer about the amount of tax debt, why the debt was incurred, and how to pay it. After the IRS sends the final notice to collect back taxes. The Final Notice of the Intent to Levy and Your Right to a Hearing, the IRS does not send any more notices. A lien is placed if the recipient of the notice does not respond to the notice or makes satisfactory efforts to resolve the tax debt within 30 days. How many Notice of Federal Tax Liens did the IRS file in 2013? A tax lien on a property or asset means that the IRS has a legal claim to it. In case of the sale of this property or asset, the IRS has the primary claim before all other creditors. In certain instances, the IRS will allow other creditors to move ahead, but only in circumstances in which allowing the creditor to move ahead would make it easier for the IRS to recover the tax debt. Tax Liens can do a lot of personal damage. The IRS files a public document called a Notice of Federal Tax Lien at your local or county court; this document is public record, accessible to anyone who cares to look. The three credit bureaus are alerted when a tax lien is filed, so liens are included on your credit report. Since liens on your credit file are seen as negative items, it makes you more of a risk as a borrower. As a result, a tax lien can significantly lower your credit score and make it very difficult to get a loan or credit line. Increasingly, employers are checking prospects’ credit scores before they hire. Tax liens can also prevent you from getting security clearance or certain professional licenses, which further hinders your job prospects. A tax lien can be removed immediately if you pay your tax debt in full. Qualifying for a tax debt payment plan may also help to get a lien removed. Typically, the IRS will release or withdraw a tax lien if the taxpayer qualifies for certain installment agreements. 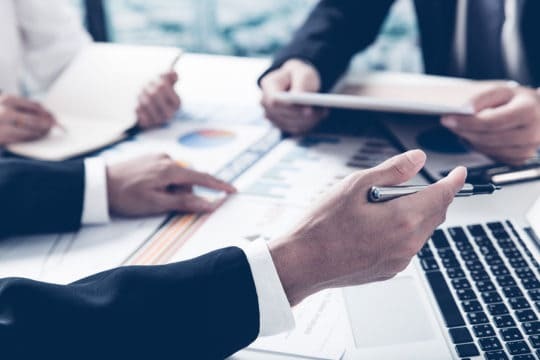 Liens can be very difficult to remove and it is advisable to consult a tax specialist or hire a tax service when resolving tax debt and attempting to get a lien removed. If a tax debt remains unresolved after a federal tax lien has been place, the IRS may move to a levy. In a levy the IRS can seize your financial accounts, take a portion of your wages, even seize and sell your property. After the Final Notice of the Intent to Levy and Your Right to a Hearing the IRS does not warn you before they levy. Therefore, it is vital that tax debt be resolved as early as possible to avoid both liens and levies. It is always advisable to consult a tax lawyer or a tax service before communicating or committing to the IRS. A tax service will be able to advise you on your rights and options for resolving your tax debt and removing your tax lien. Article last modified on March 6, 2019. Published by Debt.com, LLC . Mobile users may also access the AMP Version: The Facts on Your Federal Tax Lien - AMP.